South Korean legal experts are planning a constitutional challenge to the proposal by Seoul and Washington to deploy the US THAAD anti-missile defense system in the southeast of the country next year. 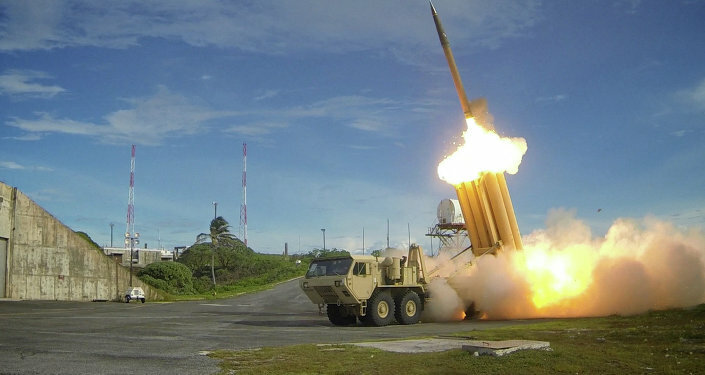 On Friday South Korea announced its intention to deploy a US THAAD anti-missile defense system at a golf course in Gyeongsangbuk-do, a region in southeastern South Korea. In July, Seoul and Washington had chosen the Seongsan anti-aircraft missile base in Seongju, 296 kilometers southeast of the capital, as the site for the system. 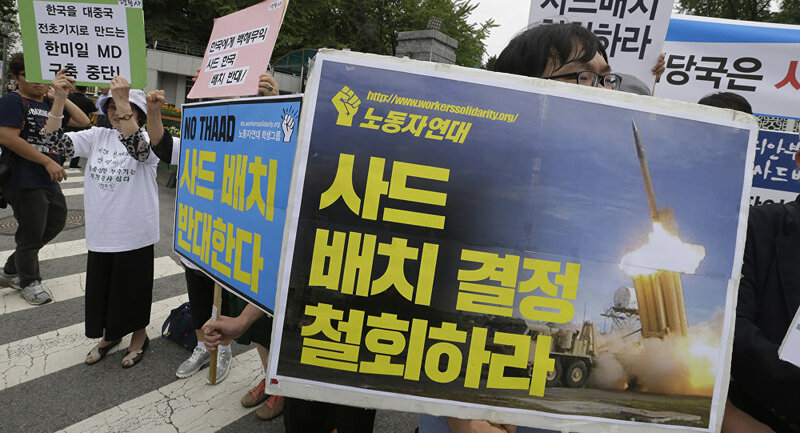 However, residents there strongly protested the decision, citing environmental and health hazards including the potentially harmful effects of emissions from THAAD's X-band radar. Earlier this week, the Defense Ministries of South Korea and the US completed a review into the THAAD deployment, and concluded that the golf course is the best location, since "it is already equipped with the necessary infrastructure for the installation," and could be installed as early as next year, Yonhap News reported. The golf course is currently owned by Lotte Group, and would cost the government $91 million. Residents of Gimcheon, a city adjacent to the proposed new site, have already threatened to hold "a full-scale protest" if the THAAD plan goes ahead. However, Seoul and Washington may again be prevented from deploying THAAD, thanks to a planned legal challenge from South Korean legal experts. South Korean lawyer Kim Jin-hyung of the organization Minbyun (Lawyers for a Democratic Society) told Sputnik that they are preparing a challenge to the proposal, on the basis that THAAD poses a threat to the country's security. "Since the government has identified the place to deploy THAAD, our organization has decided to submit a constitutional challenge and start a lawsuit," Kim Jin-hyung said. "The deployment of THAAD batteries, which will become a link in the American missile defense system, will provoke a harsh response from China and Russia. This only increases tension and the risk of military conflict in south-east Asia and does not contribute to the security of the Korean peninsula at all." The lawyer thinks that Minbyun has a good legal case based on the South Korean constitution, which states that "all citizens have the right to a healthy and pleasant environment." "It is necessary to minimize the unconstitutionality of this decision, which violates the right to make independent decisions, the right to a pleasant environment, as well as health rights, granted by the constitution," Kim Jin-hyung said. The US and South Korea have declared the deployment of THAAD necessary to deter North Korea from further developing its nuclear program. On September 9 Pyongyang announced it had carried out its fifth test of a newly-developed nuclear warhead. China has stated its opposition regarding North Korea's nuclear tests, and has imposed some sanctions on Pyongyang, in line with UN Security Council resolutions. However, Beijing is also opposed to the US deployment of THAAD in the region, which it sees as a potential threat to its security amid US efforts to build up its influence and military presence in the Pacific Region. "Like any other country, China can neither be vague nor indifferent on security matters that affect its core interests," the China People's Daily wrote in a commentary on Saturday. 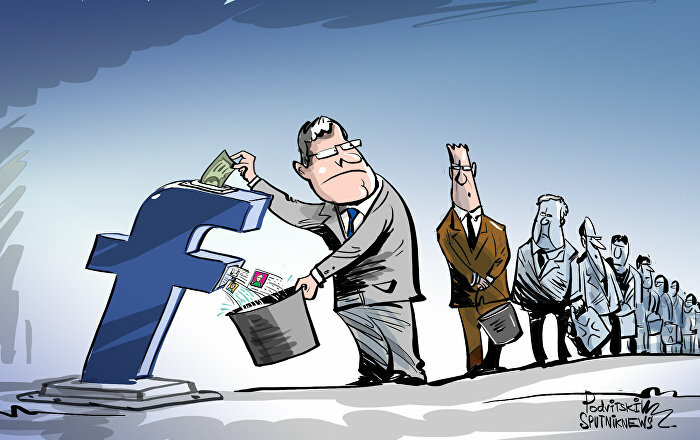 "If the United States and South Korea harm the strategic security interests of countries in the region including China, then they are destined to pay the price for this and receive a proper counter attack," the paper continued, although it was no more specific.